In 1928, after 35 years of circling the globe, jumping exploration hurdles, and establishing a new standard for what it meant to be a man of discovery, Roald Engelbregt Gravning Amundsen set out to find a crew of fellow adventurers who had been lost in the arctic—and he never came back. 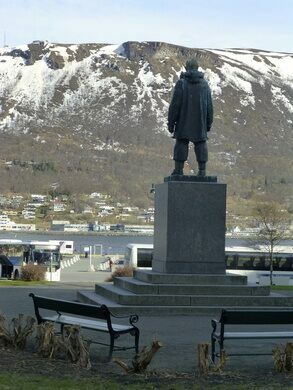 In the island town of Tromsø there are several reminders of the great explorer and favorite son of Norway, including this slightly larger-than-life bronze statue atop a stone plinth. 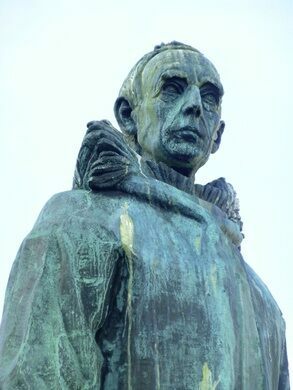 The statue was unveiled as a memorial to Amundsen in 1958, placed in a small park not far from his final home, looking out over the harbor. Roald Amundsen set so many records in such a short period of time, it’s hard to keep track. 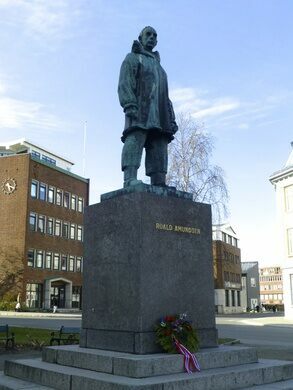 Originally from Borge, Norway, he is uniquely associated with arctic and Antarctic exploration, leading the first documented over-the-top trip through the Northwest Passage (a three-year slog), the first expedition to reach the South Pole, in 1911, and the first airship expedition to the North Pole, in 1926. Consequently he was the first person ever to reach both poles in one lifetime. 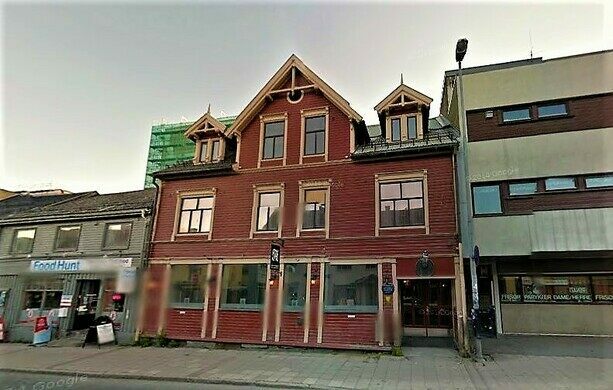 Amundsen lived his later years in Tromsø, at the very top of Norway, 750 miles from where he was born at the very bottom. His final trip was a rescue mission from here, hoping to find the crew of fellow-explorer Umberto Nobile, who hadn’t returned from a trip to the North Pole. 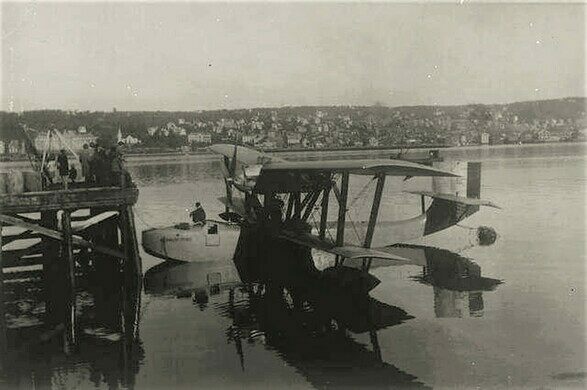 Amundsen’s seaplane crashed, somewhere in the Barents Sea, and neither his body, nor the bodies of the five-member crew, were ever found. Tromsø is in far northern Norway. 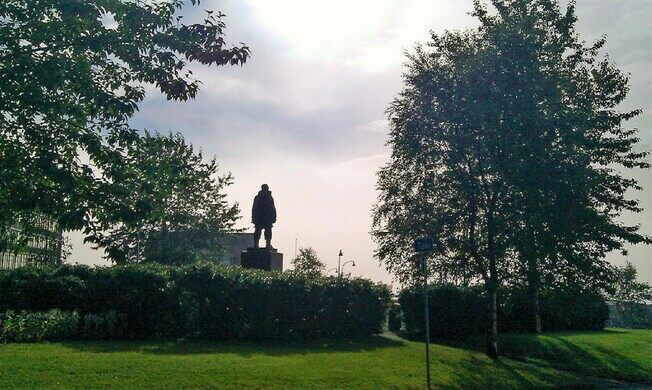 The monument is located in a small waterfront park near the old downtown area near the tourist information center. This Norwegian satellite station provides ground services to more satellites than any other facility in the world. At this Arctic outpost, get to know members of the indigenous Sámi community and meet their herds. A larger-than-life monument to the overlooked women who braved Western expansion and broke down societal barriers.